Naughts & Cross stitches: Frogging... rip it rip it rip it! 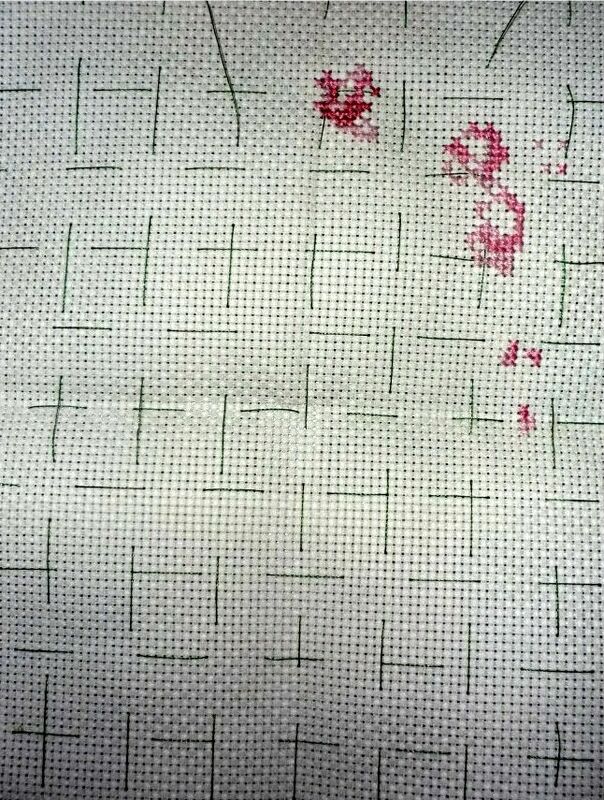 So I started the wedding sampler and put colour in one flower and realised I put it too far to the right. One square to the right. Tacking is great as long as you get the right lines to start from. Thankfully I had only put in one colour before realising but it was frustrating! So here is my progress, I really haven't had much time to work on it with a busy day teaching yesterday. It's surprising how long it takes to do this when there are bits of colour everywhere. Counting takes ages! I'm also being different and not actually using a hoop because it is frustrating with the bits of colour everywhere to readjust the hoop. We'll see what happens... though I may just put a hoop on it because it's hard to hold and keep fairly tense.